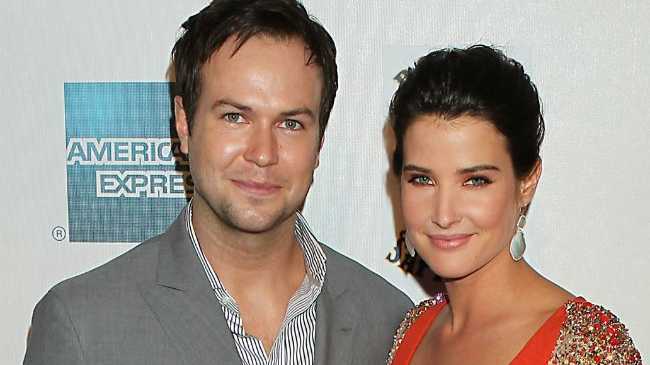 COBIE Smulders has married Taran Killam. The 'How I Met Your Mother' actor and the 'Saturday Night Live' star tied the knot at the Alisal Guest Ranch and Resort in Solvang, California, on Saturday (08.09.12) in the heart of Santa Barbara's Wine Country. Cobies's co-star Allyson Hannigan was among the 300 guests to witness the 15-minute ceremony before everyone moved to the reception near a spring-fed lake, RumorFix.com reports. The couple dated for several years before getting engaged in 2009. They have a three-year-old daughter, Shaelyn, together. Earlier this year, Cobie revealed Shaelyn couldn't wait for her parents wedding. He said: "She really wants a dress and she wants white shoes. "She knows about (the wedding). She knows that there are sweets involved."